Babylon #2, 2015. Bindi Cole Chocka – Pigment print on rag paper, 40 x 26cm. Edition of 8. The Board of Directors of Indigenous Art Code Limited is the body with the authority to deal with complaints and issue sanctions under the Code. issue sanctions for non-compliance by Code signatories. up to 8 representatives with legal, arts, business or consumer knowledge and experience who are appointed by the Board. The structure of the Board was developed in consultation with the Industry Alliance Group which was formed to provide guidance on the development of the Code and has been designed to achieve participation across the breadth of the Indigenous visual arts industry. 1 Member who is a non-affiliated dealer. 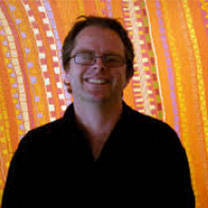 Vivien has over 30 years’ experience in Australian Indigenous art. After returning from a career in London as a film producer, she became Manager of the Aboriginal Artists Gallery in Melbourne. 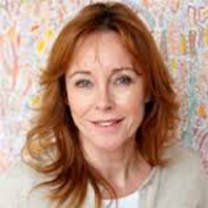 Vivien went on to manage and direct several acclaimed contemporary galleries in moth Melbourne and Sydney, all with a strong emphasis in Australian jndigenous visual artists. 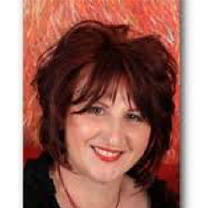 Vivien has directed her own specialist gallery in Melbourne since 2006, the current gallery in St Kilda. Chrischona is the Art Centre Manager. 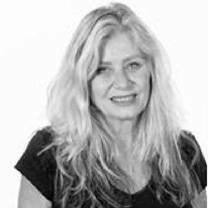 Prior to coming to Ikuntji Artists she completed her PhD research at the Research School of Humanities and the Arts, Australian National University focusing on the history of the Utopia art movement. Chrischona has worked for the Australian Institute of Aboriginal and Torres Strait Islander Studies, the National Museum of Australia, the Strehlow Research Centre and auction houses and galleries across Australia and overseas. Chrischona speaks fluently German and French, which greatly helps with overseas galleries and visitors. Sabine has been involved in the Indigenous art industry for over 25 years. 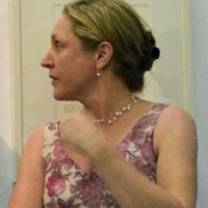 Her Alice Springs gallery works closely with independent artists and art centres throughout Australia. She has extensive experience with in many aspects of the market from collectable fine art to affordable art, artefacts and licensed merchandise. 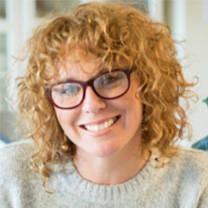 Sabine is a recognised photographer and has been commissioned for major corporate and media projects. She has a personal interest In Aboriginal advocacy, women’s issues and support. Paul has qualifications in Museum Studies, is a member of the Auctioneers and Valuers Association of Australia and is approved to value for the Australian Government’s Cultural Gifts Program. He is co-presenter of the Salon Des Refuses at the annual NATSIAA Awards,. Part of the 2007 Senate Report ‘Indigenous Art – Securing the Future’, he is a passionate advocate for the economic, social and cultural benefits that transparent and ethical practices bring to artists, buyers and communities. Bindi Cole Chocka is resilient and ingenious Melbourne-born photographer, new media artist, writer and curator. Chocka speaks compellingly through her photographs, videos, installations and writing, has won many awards and her work is held in significant public and private collections across the world. Bindi has been named one of the Top 100 Most Influential People in Melbourne and is a sought-after public speaker on art, cultural and community issues. 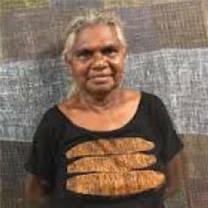 Regina Wilson was born in 1948 at Wudikapildyerr, in the Daly River region of the Northern Territory. 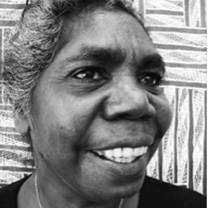 Together with her husband, Harold Wilson, Regina founded the Peppimenarti (meaning ‘large rock’) Community as a permanent settlement for the Ngangikurrungurr people in the Daly River region, south-west of Darwin in 1973. The subject matter of Regina’s works is based around the practice of weaving fibre art, and stems directly from her skills as a master weaver. After attending the Contemporary Art Biennale (Pacific Arts Festival) in 2000, Wilson decided to try acrylic painting. Pam has worked with Indigenous communities for over 25 years in a wide variety of roles for both government and community organisations, including Indigenous Lead Centre, Wet Tropics Natural and Cultural Heritage Interpretation, Natural and Cultural Heritage Interpretation and the Conservation Commission of the NT. Pam’s current role promotes and supports culturally strong best practice Indigenous Art Enterprises across Far North Queensland and the Torres Strait Islands. 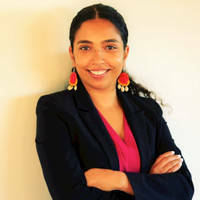 Christina is CEO of the Association of Northern Kimberly and Arnhem Aboriginal Artists (ANKAAA), the peak advocacy and support agency for over 5,000 Indigenous artists and 49 Aboriginal-owned art centres and artist groups in a region of northern Australian, which covers over a million square kilometres. Before joining ANKAAA, Christina lectured in contemporary art and art theory at universities in Sydney and Melbourne. Christina is also a Board Member of the Darwin Aboriginal Art Fair. Richard is a chartered accountant and non executive director. 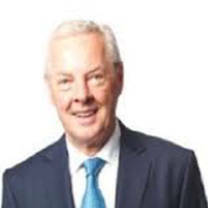 His current board appointments include Chairman of Qantm Intellectual Property Limited and a director of Japara Healthcare Limited, Macquarie Atlas Roads Limited and Nanosonics Limited. He is a former partner in Ernst and Young where he specialised in insolvency and debt reconstruction. He has expertise in corporate governance and broad experience in business across a number of sectors including agriculture, healthcare and infrastructure. He has a passionate interest in indigenous affairs and is a keen collector of Australian indigenous art. Stephanie is from the Quandamooka People of North Stradbroke Island, also known as ‘Minjerribah’. Stephanie graduated from the Queensland University of Technology in 2011 with a Bachelor of Law and Justice and then worked in private practice as an intellectual property and general commercial lawyer from 2012 to 2017. Currently, Stephanie is undertaking a Masters’ of Philosophy and researching the manufacture and sale of fake Aboriginal and Torres Strait Islander art and products in the souvenir market. Stephanie also works part time for the Copyright Agency where she is employed as the Indigenous Engagement Manager. Skip Lipman is a partner of Lipman Karas Barristers & Solicitors. Lipman Karas has litigation offices in Adelaide, Hong Kong and London. 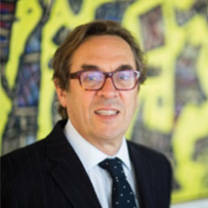 Skip’s areas of expertise include professional negligence, trade practices, corporate governance, shareholder and takeover disputes, fraud and asset tracing, insolvency, obtaining equitable remedies and the conduct and management of major project litigation and inquiries. Skip has been a Director of the International College of Hotel Management since 1992. He was previously a director of both MDASA and Medical Insurance Australia. Marie has rich experience in the communications, tourism, travel and events industries, and a lifelong interest in art and design. 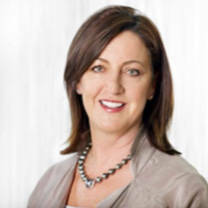 Having run major advertising agencies, and been a member of their local, regional and worldwide boards, she is currently an Executive Director of Solterbeck and a Trustee of Melbourne Convention & Exhibition Trust. Philip was born in Alice Springs and is part of the extended Arrernte and Larrakia families. Since 2011, he has been CEO of Desart, the peak body that advocates for the independence of remote Aboriginal art centres in Central Australia. Before this, Philip was Artistic and Cultural Director of the National Aboriginal Cultural Institute and spent many years representing the Central Land Council. 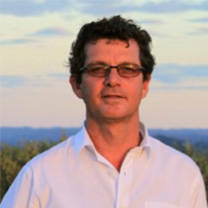 Philip is a Fellow of the Governor’s Leadership Foundation and a Board Member of the Darwin Aboriginal Art Fair.